Many home buyers, especially first time home buyers, are often under the belief that all Lenders have the same FHA Mortgage Guidelines. Just because a borrower may not qualify with one lender does not mean that they do not qualify for a FHA Loan. All lenders with overlays has different mortgage guidelines on FHA Loans. The good news is that are lenders like The Gustan Cho Team at Loan Cabin Inc. that has no overlays on FHA Loans. Gustan Cho Associates at Loan Cabin Inc. only goes off HUD Guidelines and has ZERO OVERLAYS on government and conventional loans. The United States Housing and Urban Development, also known as HUD to most, is the parent government agency of the Federal Housing Administration (FHA). The Federal Housing Administration is not a mortgage lender. Each FHA mortgage lender has its own mortgage lender overlays. 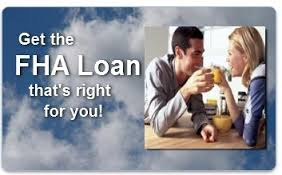 It is getting more and more difficult to purchase a condominium with FHA Loans. However, condo buyers can buy condominiums with FHA loans but the condominium complex needs to be HUD Approved. More and more condo complex are not renewing their HUD Approval because of the costs involved. To see if the particular condo is FHA Loans approved Visit https://entp.hud.gov/idapp/html/condlook. Over 75% of our borrowers at The Gustan Cho Team at Loan Cabin Inc. are folks who either gotten a last minute mortgage loan denial or are stressing over their mortgage process with another lender. Home Buyers who need to qualify with a direct FHA Lender with no lender overlays can contact The Gustan Cho Team at Loan Cabin at 262-716-8151 or email us at gcho@loancabin.com. We are available 7 days a week, evenings, weekends, and holidays.